To Whom Would You Recommend this book? This is recommended for ages 5-8. 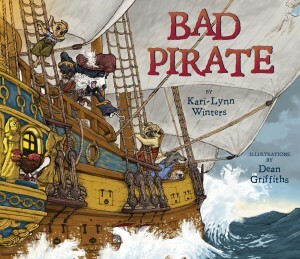 Children who love pirates and have read the “Good Pirate” book will love this book. Who should buy this book? 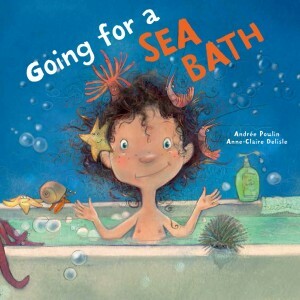 This would be good for elementary school libraries and public libraries that have a children’s section…. —Sandra Pacheco, ESL teacher, Washington, D.C.
Pajama Press is proud to announce that two of our recent titles have been shortlisted for the 2017 Chocolate Lily Book Award. 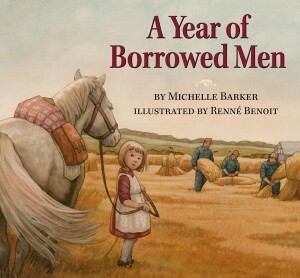 Bad Pirate, written by Kari-Lynn Winters and illustrated by Dean Griffiths, and A Year of Borrowed Men, written by Michelle Barker and illustrated by Renné Benoit, have both been nominated under the Picture Books category. The Chocolate Lily Book Award is a young readers’ choice program that encourages grade school students to read and enjoy some of the best fiction by British Columbia’s authors and illustrators. The program is intended to spark a love of reading in the reluctant reader and enrich the strong reader’s passion for books. We are pleased to extend our heartfelt congratulations to our nominated B.C. creators, Dean Griffiths and Michelle Barker. Click here to see all the nominees. 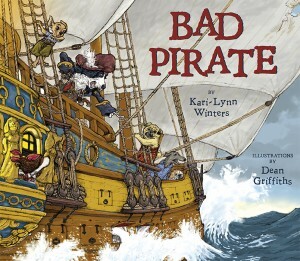 Bad Pirate features lovely color drawings by Dean Griffiths as it tells of Barnacle Garrick, a bold pirate captain who has a shy daughter who likes being helpful. Augusta doesn’t fit in with the crew and her helpful ways are a problem, until the crew gets in trouble. Dog characters who form the crew and the dilemma of one who doesn’t fit in makes for a lively discourse on the possibilities of courage and difference in a pirate’s set ways. This Sunday is Father’s Day, a day to appreciate and spend time with our fathers. In our opinion, there’s no better way to do that than by sharing some quiet time with a story. This Father’s Day, we’re celebrating one of the most challenging and rewarding parent-child relationships: the love between father and daughter. We’ve got some some great recommendations for the dads and daughters in your lives, and they make great gifts because the fun and quality time are built right in. Is there a more contentious time between parents and kids than bath time? Leanne thinks not. Bath time is boring. It’s annoying. It’s a pain. Luckily her father might have just the right idea to make Leanne’s bath time fun, exciting and amusing. He runs down to the sea and brings back one turtle. Then two eels. Then three clown fish. But can one good idea go too far when it leads to ten octopi? This silly, lighthearted adventure highlights the the goofy, good-hearted fun of a father-daughter relationship and will surely inspire dozens of giggles! 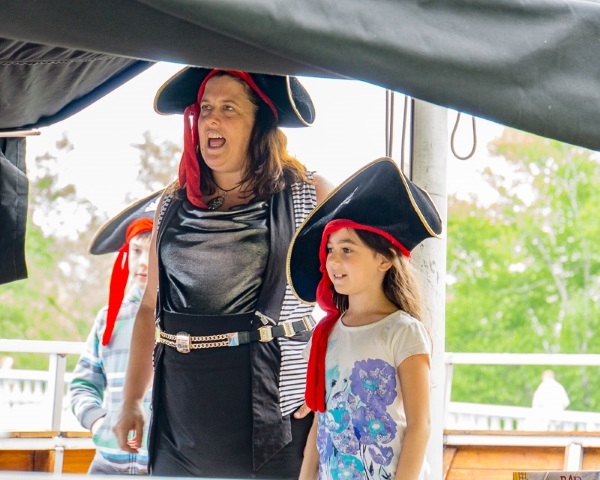 Moving from the tub into the open sea, meet Augusta and Barnacle Garrick, a daring father-daughter pirate duo. Captain Barnacle has firm opinions about what makes a great pirate: members of his crew must be saucy, selfish, brainy and rotten. But good-natured Augusta has ideas of her own. Will her own resourceful acts of daring prove to her father and all his mateys that she can be selfless, fancy and a great pirate? Although father-daughter relationships aren’t always easy, Augusta and Barnacle demonstrate that parents and children can disagree sometimes, but still love and appreciate each other in the end. Even if they’re scurvy rotten seadogs. We recommend a father-daughter visit to your nearest indie bookstore to check out these, or any of our other, titles. 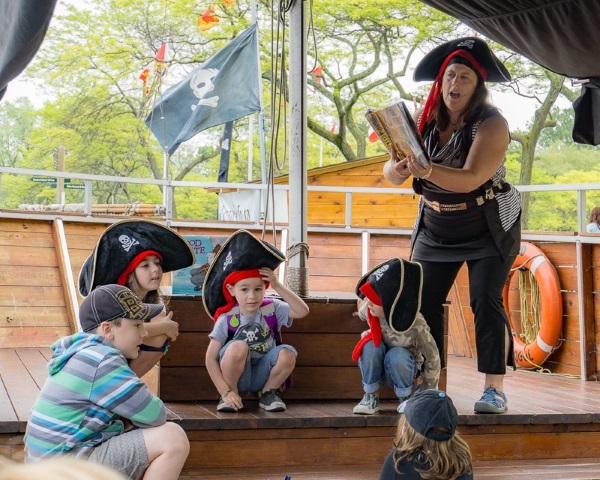 Last Sunday Pirate Life Toronto on Centre Island hosted a launch event for Good Pirate. 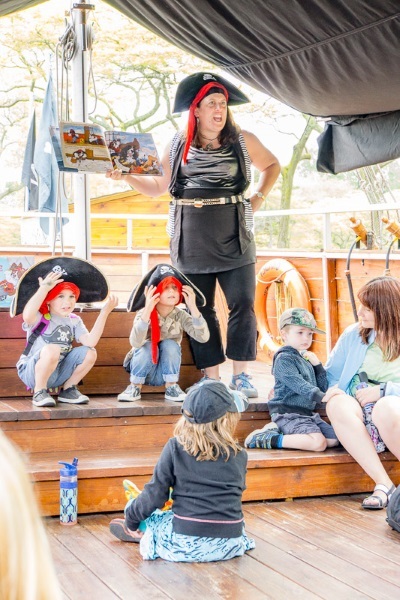 Kari-Lynn Winters and all her mateys crowded onto a real-life pirate ship to partake in activities, tattoos, Kari-Lynn’s readings of both Pirate books, and a performance by the scurviest pirates on the island. 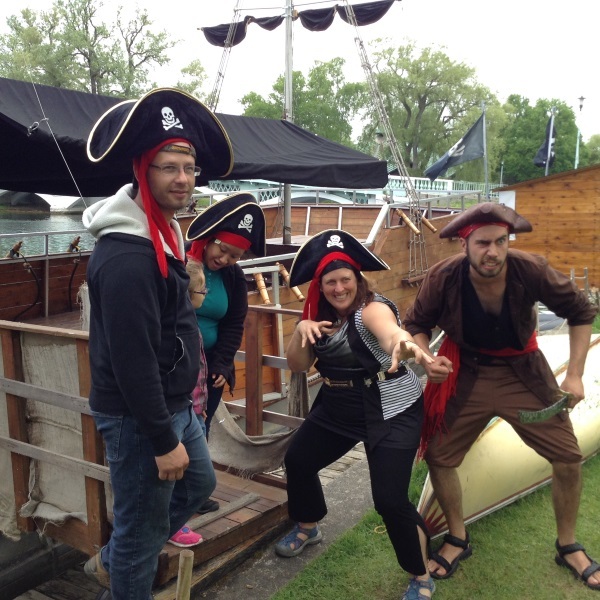 Even passing landlubbers enjoyed themselves, and no one had to walk the plank or get wet! 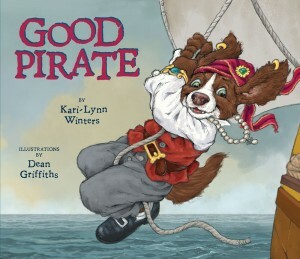 Order your own copies of Good Pirate and Bad Pirate today! 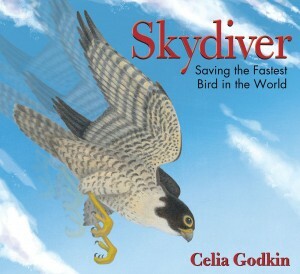 Pajama Press is pleased to announce that three of our picture books have been nominated for the 2016 Rainforest of Reading Award: Bad Pirate by Kari-Lynn Winters and Dean Griffiths, In a Cloud of Dust by Alma Fullerton and Brian Deines, and Skydiver: Saving the Fastest Bird in the World by Celia Godkin. Inspired by the Ontario Library Association’s Forest of Reading program, the Rainforest of Reading is a book festival that brings award-winning children’s literature from Canada to primary schools in Saint Lucia, Grenada, Montserrat, and Nevis. For three weeks in March 2016, 8,500 students in grades 3, 4, and 5 will read and engage with the twelve nominated books. At the end of the three weeks, students will vote for their favourite book and many will attend a day-long celebration with the authors and illustrators themselves. We are thrilled that our books will be a part of this important literacy initiative. Congratulations to our participating authors and illustrators! 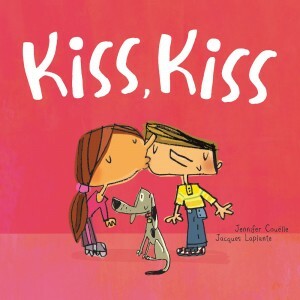 Kids’ Book Buzz is a website where children’s books are reviewed by their intended audiences: kids! Here’s what they had to say about some of our latest titles. 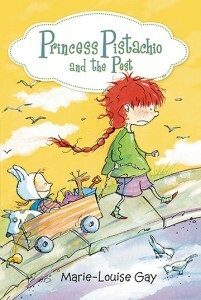 “A little girl named Pistachio wants to explore a cave with her friends, but instead, her mother wants her to take her little sister to the park. Pistachio thinks that is going to be so boring. First, she gets accused of being a thief, which is so embarrassing. Then, she falls into a witch’s garden and almost gets turned into a toad. Worst of all, she gets kicked out of the park because a warden thinks she meant to take money from the fountain, but it was her little sister, Penny. Everything terrible that happened that day was all Penny’s fault. But it was not boring. When she tells her mother what happened, her mom decides to call someone to look after them, since it’s too much for Pistachio. She calls the witch! Pistachio is horrified. Even though she hated her day with her sister, she tells her mother not to worry. She’s sure they will have fun together. 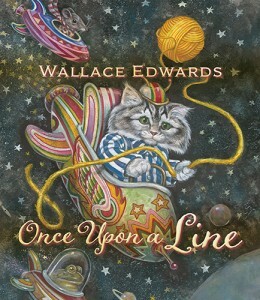 “Once upon a Line is like no other book I have ever read. There really isn’t a story written, but instead you need to use your own imagination to finish off a story. Each page is a different picture and story for you to make up. They said the pictures were from a Great-Uncle George, who was a magician and had a magic pen. They say that every picture starts with a line and you need to find the line in each picture, as well as find the magic pen. 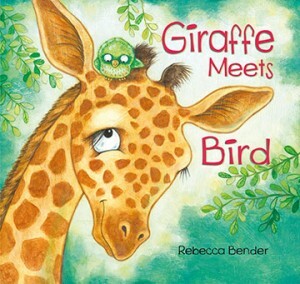 “There’s this giraffe that meets this bird. The bird was in its nest, in its egg, and when it hatched, giraffe saw it, because Giraffe is so tall. Giraffe thought the bird was cute and nice when he saw it, and Bird and Giraffe both learned what the other one liked, and had to learn to be nice. But they didn’t always get along, because sometimes they didn’t like what the other one did. Bird didn’t like Giraffe telling him what to do, and Giraffe didn’t like Bird bonking his head. So then they didn’t seem to like each other. But then when there was trouble coming, they went into this tree and helped each other because they were friends. “Bad Pirate is about dog pirates that think being a pirate is about being saucy, bold, and selfish. The captain’s daughter, Augusta, is kind, nice, and helpful. Her dad and the other pirates think that is very, very bad. Augusta finally tries to be selfish, and then when there is a storm, her selfish act puts the whole ship in danger. So, she goes to help fix the sail, even though its not her job, and when her dad growls at her, she has to get saucy with him. Will he get mad at her? Will he let her fix the sail or will he let the ship sink? You have to read the book to find out! “Captain Barnacle Garrick displayed all the characteristics of the typical bad pirate; he was saucy, bold and selfish. His daughter, Augusta, however did not follow the pattern. Around the pirate ship she was kind-hearted and helpful, never saucy and bold. She could never be a bad pirate until she did something selfish! Was now the time to make her father proud? 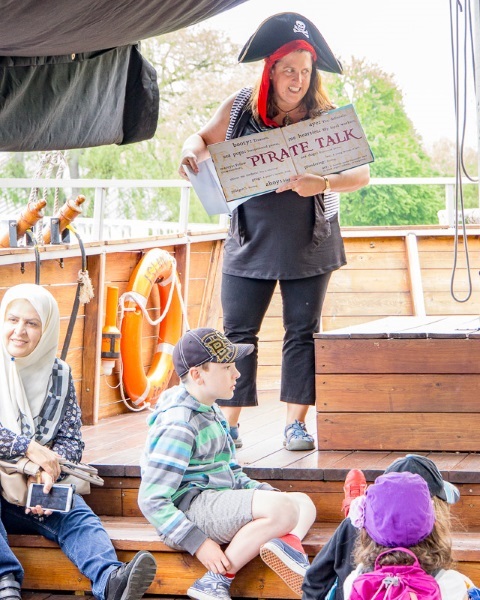 This delightful pirate spoof uses vocabulary in an interesting way to develop the story. Key words such as saucy, bold, and selfish, plus typical pirate expressions such as Aye! Arr! and Land ahoy! are found in bold, large print. The dialogue in bubbles is also colloquial and fun. 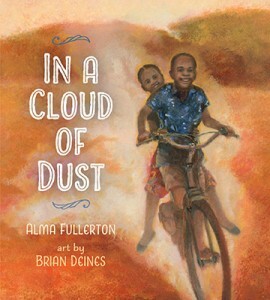 This text should be a great read-aloud.